COLUMBUS, Ohio, July 26, 2011 (SEND2PRESS NEWSWIRE) — Yesterday Leader Technologies filed its opening brief in its patent infringement fight against Facebook at the Court of Appeals for the Federal Circuit in Washington, D.C. Leader is represented by King & Spalding LLP and lead counsels Paul Andre, Lisa Kobialka, Daryl Joseffer and Adam Conrad. The nine-day jury trial in Delaware ended on July 27, 2010 with a split verdict. At trial, Facebook was judged to be “literally infringing” Leader’s U.S. Patent No. 7,139,761 on 11 of 11 claims, and the jury also found that the invention was not obvious over the published prior art. Put simply, this means that the software engine driving Facebook is Leader’s invention. However, the jury found the patent invalid on the theory that Leader had engaged in premature commercial activity more than one year before the patent application was filed. According to Leader, while much evidence was presented on both sides regarding infringement and prior art, Facebook presented no evidence to support its allegations of early commercial activity. Facebook had the “heavy burden” to present “clear and convincing evidence” to prove its allegation that Leader disclosed the invention prematurely. The clear and convincing standard was recently reaffirmed by the Supreme Court in Microsoft v. i4i. Leader argues that an attempt to invalidate computer software inventions requires hard evidence like source code, engineering documents, developer testimony, drawings, schematics and expert witnesses to prove early commercial activity. Facebook provided no such proof. Leader cites cases where invalidity verdicts were overturned when infringers failed to provide hard evidence. Facebook’s response is due according to the court Rules. Leader Technologies Incorporated is located in Columbus, Ohio and may be reached thru John Needham at 614-890-1986 or online at www.leader.com . 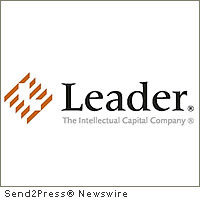 – RSS news feed for Leader: https://send2pressnewswire.com/author/leader-technologies-incorporated/feed .